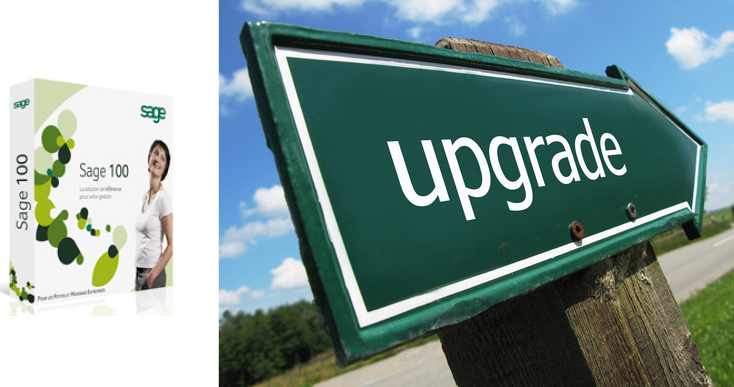 Sage 100 ERP Upgraders: V4.5 vs V2013 – Which Should You Upgrade To? 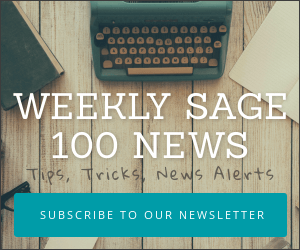 Earlier this week I asked my private 90 Minds Consulting Group which is comprised of 130 experienced Sage partners from across North America whether they’d recommend Sage 100 ERP v4.5 or v2013 for a customer upgrade. 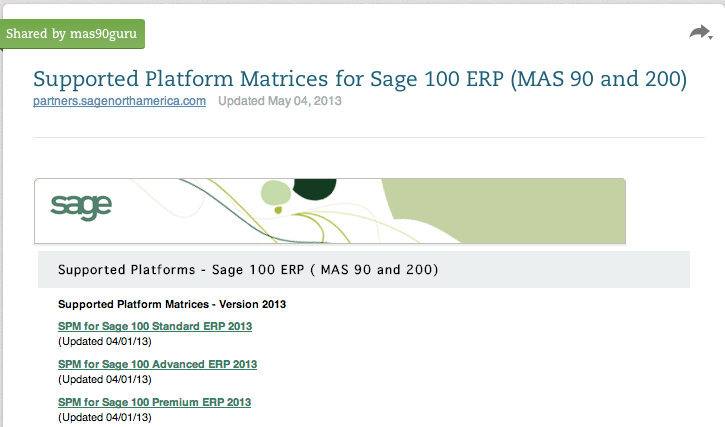 Ok to go with Sage 100 ERP 2013 from v4.3 or are you still recommending 4.5? I’m very hesitant to put a customer on a version (4.5) that’s already one level back when the upgrade fee is fairly costly to begin with. If I hop to 4.5 then I will presumably still have a decent hop to 2013 (given the credit card upload which this customer is using). What say everyone – 4.5 or is 2013 ready? 1. Credit Card Upload is a reference to Sage 100 ERP 2013 requiring integrated credit card users to move to Sage Payments (if they are not already on the platform). During the upgrade all payment data is uploaded to the Sage Vault which can be time consuming depending upon the volume. 2. This information is general in nature and may not be applicable to your company. Please consult with your Sage Business Partner. 3. The responses are unfiltered and come from experienced Sage 100 consultants with a varying degree of experience with the Sage 100 ERP 2013 upgrade. Complexity of upgrades vary from company to company and it’s impossible to list every complicating factor from an upgrade which might have tainted one person’s opinion. Is It “Safe” To Upgrade To Sage 100 ERP 2013? I’m installing 2013 whenever I can. Because if not now, when? Before you know it 2014 will be released and your client will again be 2 versions behind. We are going to 2013 as a rule, unless they have a third party that is not yet ready, such as JobOps. JobOps 2013 is out some time in June, so then we’ll recommend 2013 for most. The real $64,000 question that the customer asks “will there be any bugs if we go 2013 v 4.5? ” … talk about setting yourself up to be blamed for making the decision if there are any v2013 issues that arise……. Answer: Yes, but that is true with any software, no matter how mature. However, we will make sure all patches are installed on a timely manner, as needed, and we’ll help you as new bugs are discovered to mitigate any problems that arise. That is our job. However, we are not the publishers of the software and we can not, and do not, make any guarantees regarding the software. We are starting to roll it out for smaller clients. For a 20 user wholesale distribution customer I would still be nervous, but if they were anxious to upgrade “now” I would probably go with it and do as much testing as possible. Pretty sorry state of affairs when the software has been out for 6+ months and people have little confidence. We also are running into situations where the Extended Solutions people still rely upon are taking time to be upgraded. My biggest issues are all Crystal and workstation related. I would go for it – we have a client, 100 advanced, Distribution BOM, a lot of custom fields/scripting, things have been running well. My feeling is that it’s ready, and it’s a separate install, so you have the opportunity to do some good testing prior to a final migration. Just a heads up for a problem one of my 90 Minds group members encountered today with #Adobe Reader. Updates released last week on the 14th to level 11.0.3 and 10.1.7 caused problems with #PDF documents created via #PaperlessOfficeon Windows 8 machines. Windows 7 machine on 11.0.3 could no longer open any PDF created on a Windows 8 machine. Windows 8 machine on 10.1.7 could not create any PDF. Solution was to roll back to a prior release and then turn off automatic updates. This is #Sage100 Advanced version 4.40.0.10.